Roller supports are free to rotate and translate along the surface upon which the roller rests. The surface may be horizontal, vertical or slopped at any angle. 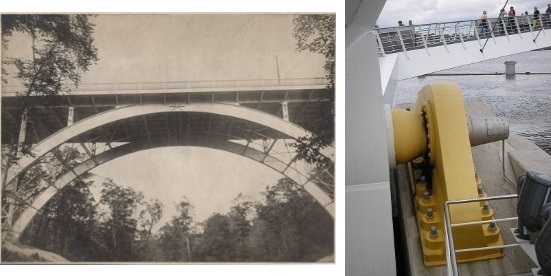 Roller supports are commonly located at one end of long bridges in the form of bearing pads. 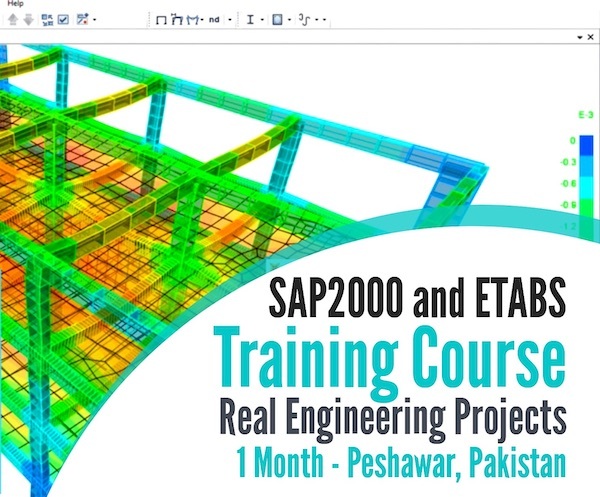 This support allows bridge structure to expand and contract with temperature changes and without this expansion the forces can fracture the supports at the banks. This support cannot provide resistance to lateral forces. 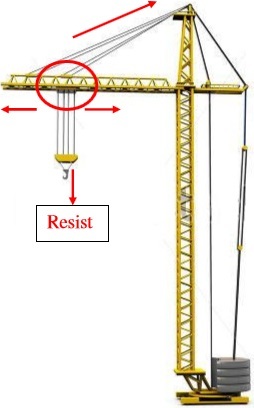 Roller support is also used in frame cranes in heavy industries as shown in figure, the support can move towards left, right and rotate by resisting vertical loads thus a heavy load can be shifted from one place to another horizontally. The hinge support is capable of resisting forces acting in any direction of the plane. This support does not provide any resistance to rotation. The horizontal and vertical component of reaction can be determined using equation of equilibrium. Hinge support may also be used in three hinged arched bridges at the banks supports while at the center internal hinge is introduced. It is also used in doors to produce only rotation in a door. Hinge support reduces sensitivity to earthquake. Fixed support can resist vertical and horizontal forces as well as moment since they restrain both rotation and translation. They are also known as rigid support For the stability of a structure there should be one fixed support. 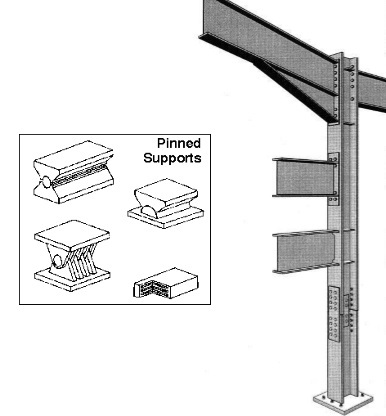 A flagpole at concrete base is common example of fixed support In RCC structures the steel reinforcement of a beam is embedded in a column to produce a fixed support as shown in above image. 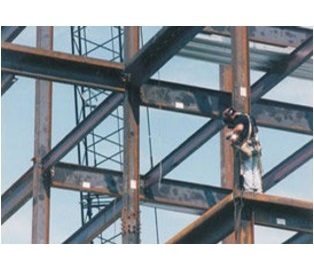 Similarly all the riveted and welded joints in steel structure are the examples of fixed supports Riveted connection are not very much common now a days due to the introduction of bolted joints. A pinned support is same as hinged support. It can resist both vertical and horizontal forces but not a moment. It allows the structural member to rotate, but not to translate in any direction. Many connections are assumed to be pinned connections even though they might resist a small amount of moment in reality. It is also true that a pinned connection could allow rotation in only one direction; providing resistance to rotation in any other direction. In human body knee is the best example of hinged support as it allows rotation in only one direction and resists lateral movements. 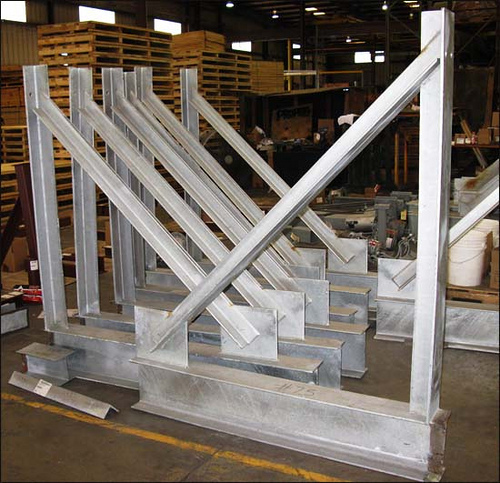 Ideal pinned and fixed supports are rarely found in practice, but beams supported on walls or simply connected to other steel beams are regarded as pinned. The distribution of moments and shear forces is influenced by the support condition. Interior hinges are often used to join flexural members at points other than supports. For example in above fig two halves of an arch is joined with the help of internal hinge. In some cases it is intentionally introduced so that excess load breaks this weak zone rather than damaging other structural elements as shown in above image.